Whimsical Backyards are not just for the movies! 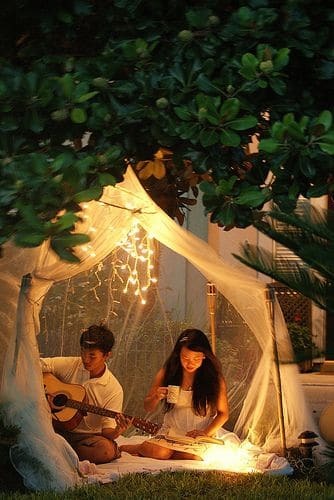 Use these dreamy DIY Backyard Landscaping projects for inspiration! I love a beautifully decorated backyard. The kind that movies are made of. 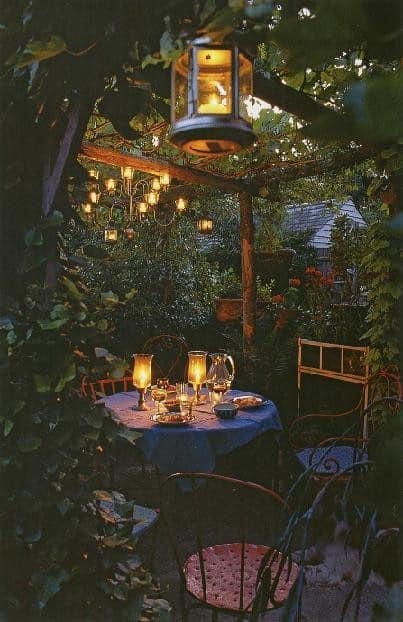 The enchanted backyards filled with lush greenery, brightly colored flowers and outdoor lights that dance in the moonlight. 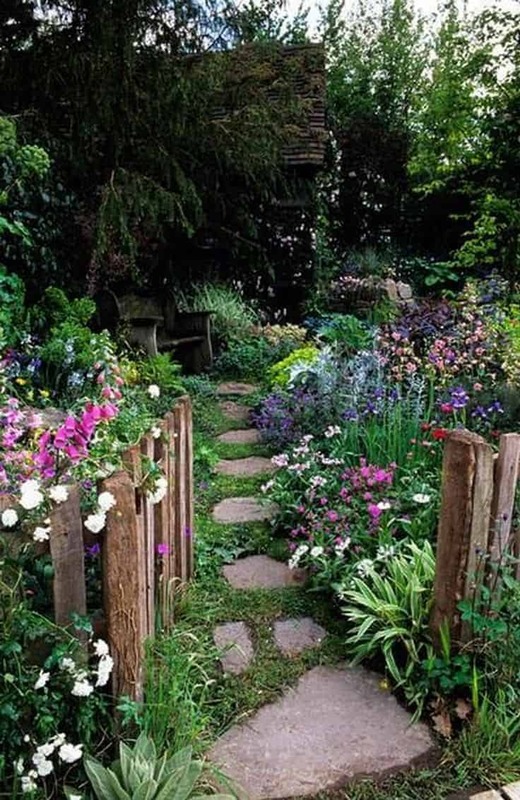 Backyards that have perfectly pebbled walkways and look like magical fairies must have sprinkled their pixie dust. Guess what… those backyards are actually possible and they are behind the homes of ordinary people. 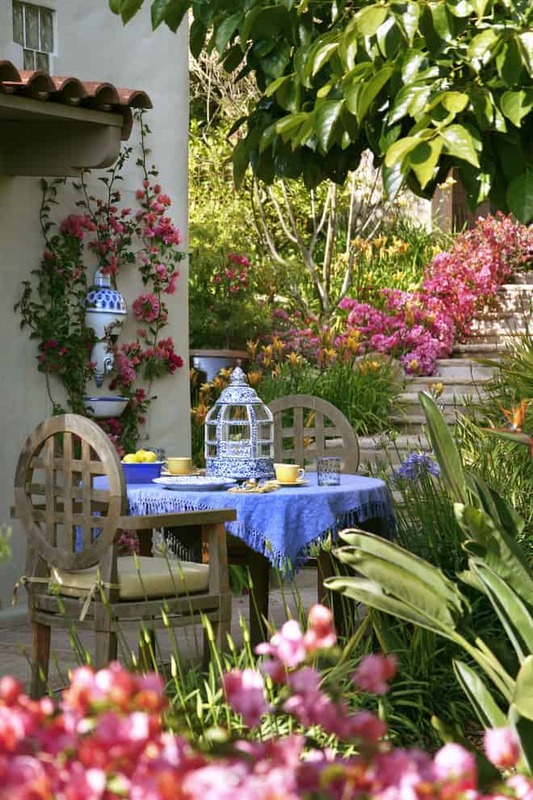 You too can have a dreamy backyard with these inspirational backyard landscaping projects, even on a budget! 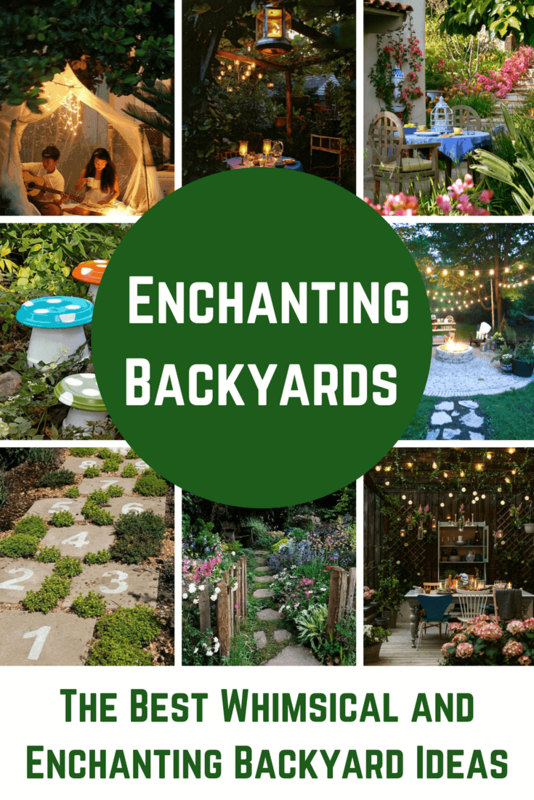 I’ve gathered some of my favorite whimsical backyard ideas and am just giddy with excitement to share them with you guys! Get prepared to be enchanted and transported… they are so amazing! 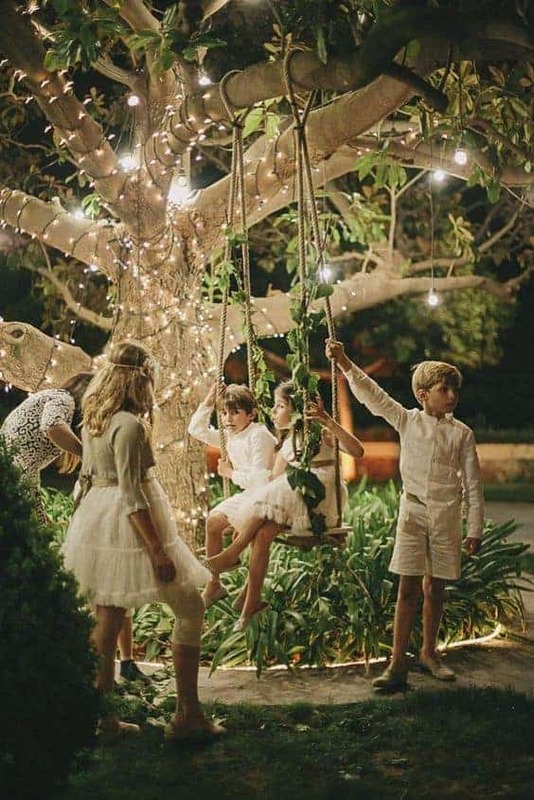 Brianne from Under the Florida Maples shared this gorgeous nighttime garden party. Can’t you just imagine how many stories were told under those lantern lights? That chandelier is just stunning, too. 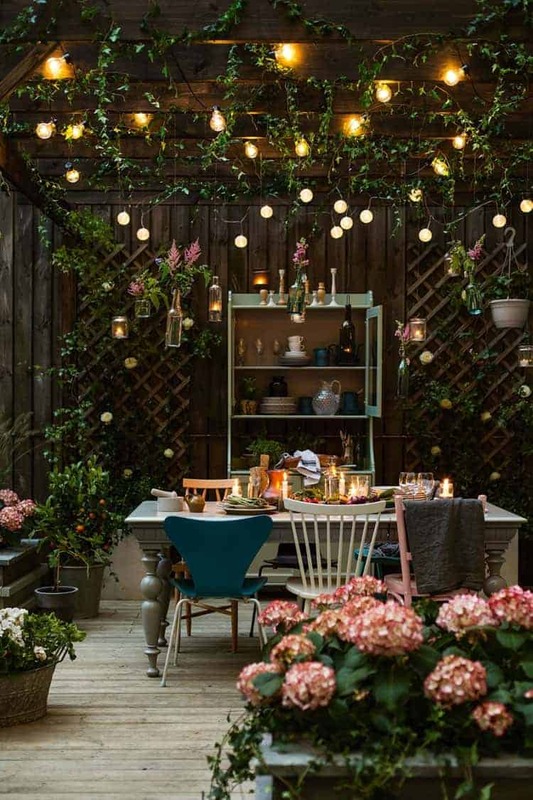 This gorgeous outdoor dining room by The Art of Doing Stuff is insanely beautiful. Even more that this charming set up, she does a phenomenal job of showing you how to divide up your outdoor space and make it your own. The main point that she wants us all to know is that these gorgeous spaces take time and they evolve. Be patient! The Better Decorating Bible is giving us a few lessons in turning your garden or backyard into a cozy hangout with this beautiful landscaping project. One thing is for sure… with these flowers and that bright and beautiful table, I wouldn’t want to be anywhere else. Do you connect the areas of your backyard with walkways? They can add a ton of character. Take a look that this idea by DIY and Mag. 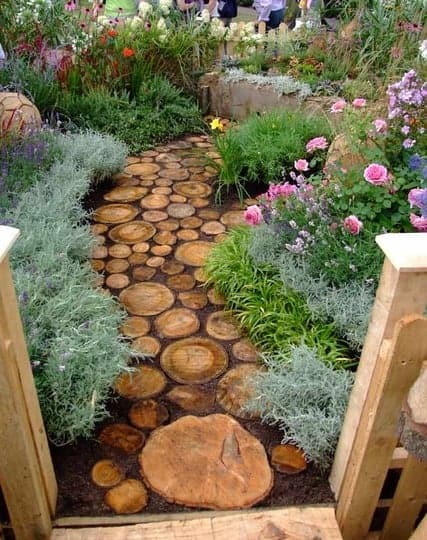 Using tree slices, a beautiful pathway was created. This is such an original idea and super affordable if you can get your hands on a tree! Help your home look like a cottage with this gorgeous pathway and gate. I love how wildly the grasses and flowers are in this yard by Home on the Range. Walk the plank in your own backyard when you join two areas with plywood. This idea featured on Country Living is easy enough for any DIY’er to complete in an afternoon. Score! As a child, I was always building a fort in our woods or setting up a tent to be my space in the backyard. These ideas are going to blow you away. They are creative and so fantastic, I could not have dreamed these little spots up! Madhu Singh shared this dreamy spot on Flickr. I love the simplicity and it has the perfect amount of lighting. Can you just imagine how at peace those kiddos feel? I love it! One big tree, strings of lights and a tree swing. That is all you need to create this magical space shared on Decor Addict. This is what I would have absolutely loved as a child. A little magic and little fun… so beautiful and an easy DIY project…if you have a ladder and no fear of heights! 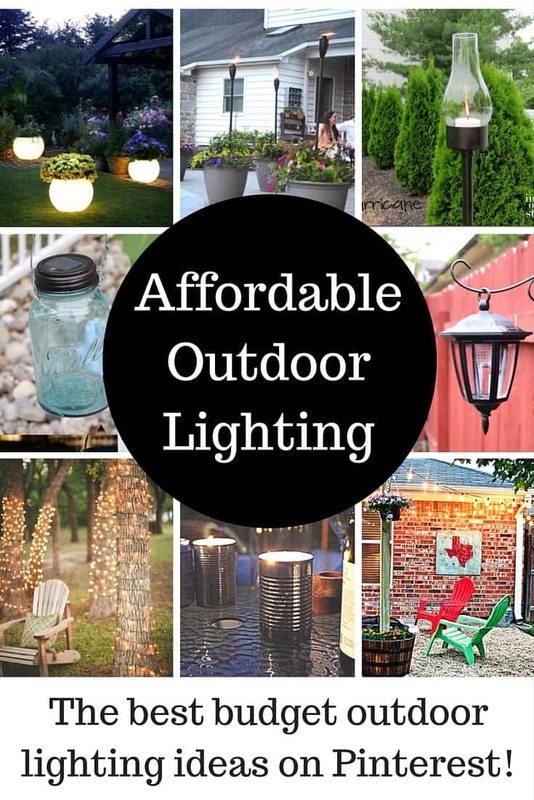 If you don’t have the budget for an entire backyard overhaul, consider small changes. These ideas are easy and can be executed in no time at all. You’ll be surprised how much of an impact small, but thoughtful touches can bring to a space. 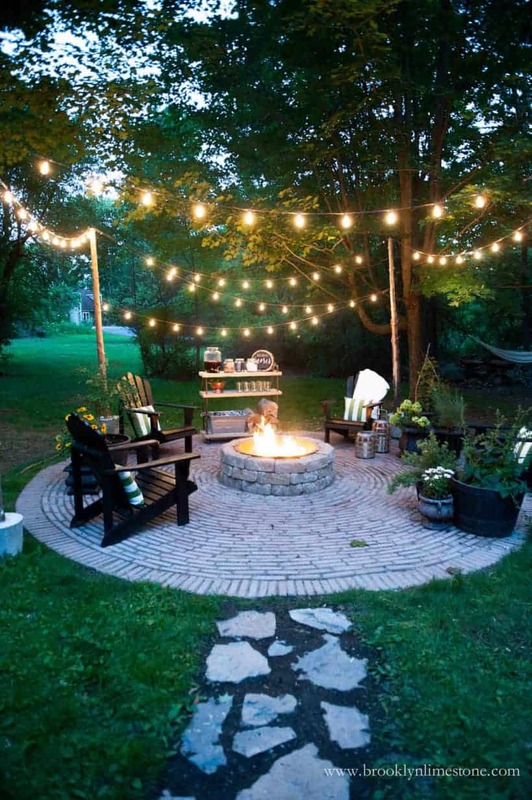 Create an area for a fire pit like this one featured on Best of DIY Ideas. I love how they’ve thought of everything. Comfy seating, lighting, a s’mores station, drinks and the fire pit, of course. I want this in my backyard, too! This is a DIY landscaping project is one that will create summer memories forever. 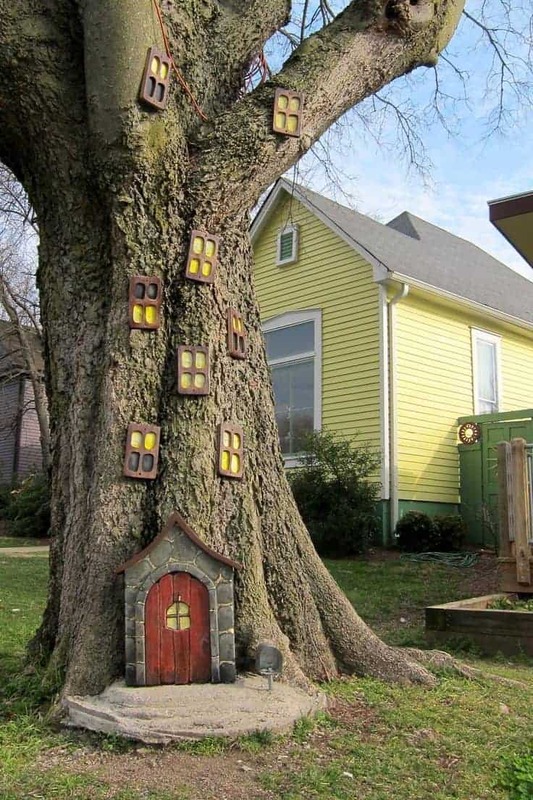 Create an Elf House on a Tree. 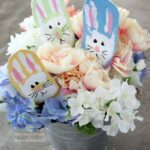 I think this is such a sweet idea featured on 1001 Gardens. The kids would really enjoy building this sweet house, too! A family DIY project that would be good to start on a rainy day and then finish it when it clears up outside. Got some empty jam jars? 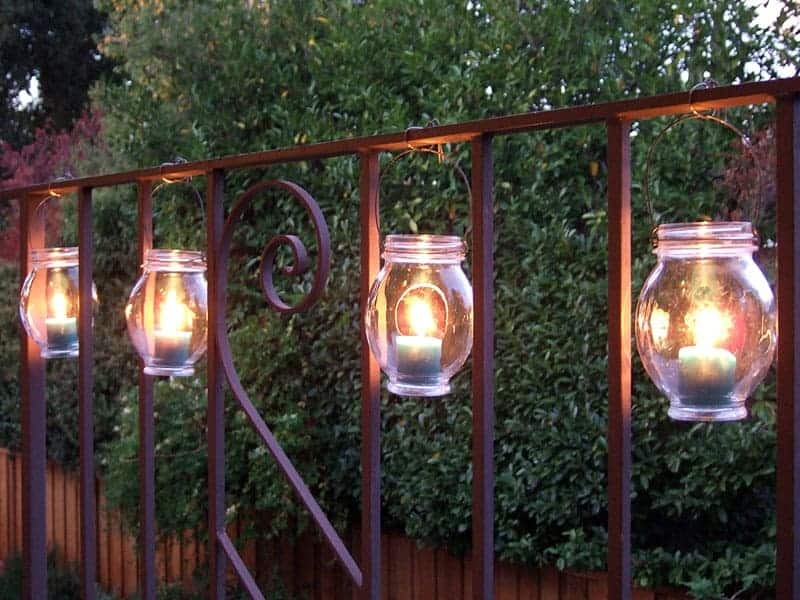 Crafty Nest shows us how to take recycled jars and turn them into small lanterns to hang on your porch railings, from trees… you name it! I love the subtle glow that they give and think this would be a great way to light up stairways! Birds and Blooms shows us how we can use ordinary pots and make them into these fun, woodland mushrooms. 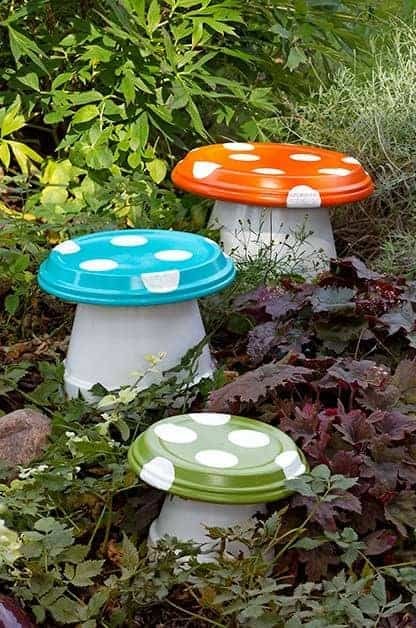 Perfect garden decor that adds a bit of whimsy and fun to an otherwise plain space. How creative and such a simple project to pull off. 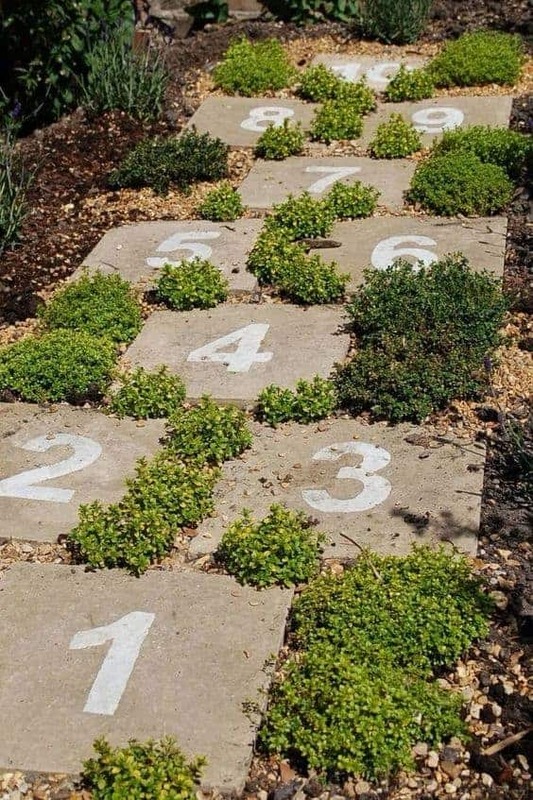 Do your kids love hopscotch? 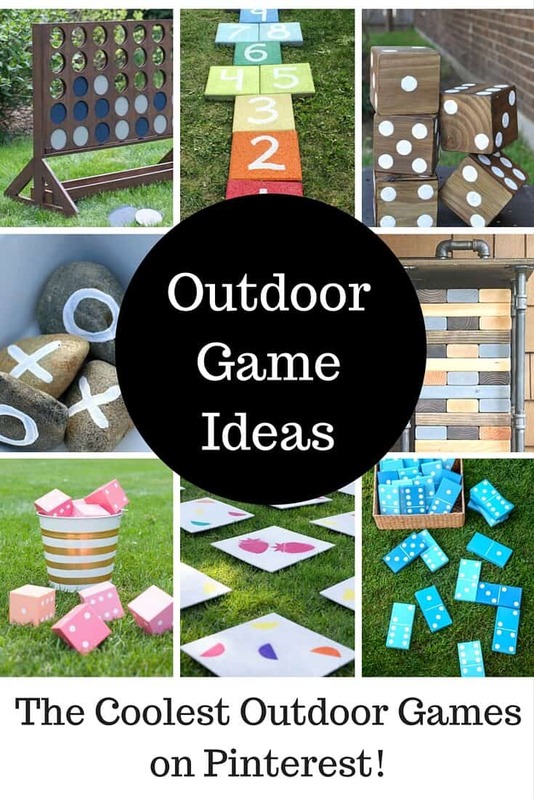 Create your own board with pavers and always have access to the fun and no chalk is needed! Style Estate shared this little nugget and it looks like a winner in my book! Which idea was your favorite… hard to pick, right?! As I viewed each one of these fabulous post, I felt like a kid in a candy store. 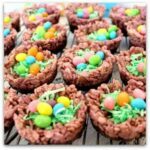 Totally fun and gorgeous ideas. Thanks for sharing.